Media Centers, for those not in the know, are computers rigged up and fashioned to mainly do one thing, store all of your media. 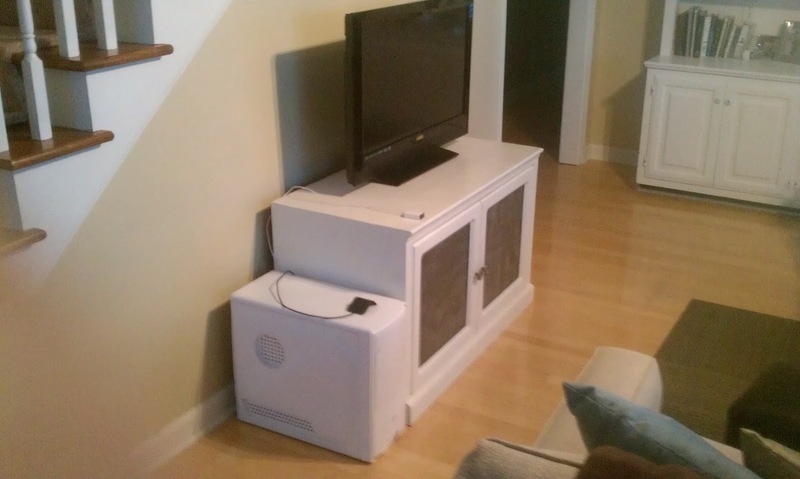 These are also referred to as HTPC or Home Theatre Personal Computer. This can range from Movies and TV shows, to Video Games, and Pictures. There are several free and pay options when it comes to this, and many are very accessible right out of the box. Here is a list of some of the applications that you can use if you are thinking of starting a media center. There is a more complete list here from wikipedia, although this just covers PVR based media centers. I will go over one application, which is the one I use, and that is XBMC. 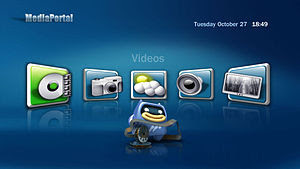 Now I was a previous user of MediaPortal, but I switched over to XBMC after not liking the speed of MediaPortal, and I found the user interface to be better for XBMC, having said that it has been a number of years since I used MediaPortal, and things could have changed. If you are looking for free PVR functionality, I would recommend MediaPortal as it does this fairly well, and the community is stellar. I had a great amount of help from them and I appreciate it greatly! XBMC used to stand for Xbox Media Center, which is were its roots began, they soon moved off the Xbox only platform and thus changed it to just XBMC since it was not just Xbox that the program would run on. Fun side fact, a developer for XBMC, when it was on Xbox, branched off and created MediaPortal, the more you know! XBMC is a free to use program that has fantastic off the shelf functionality. Right from the get go, you can configure your movies, TV Shows, Pictures, and Music to search for MetaData and fanart for a nice look. There is also, what I like to call, an App store functionality, which are called plugins in the XBMC community. The great thing is that you can access the list of different plugins for XBMC right through the user interface with your remote. I found this very cool, as with other Media Center applications you would normally need to download the app/plugin online, then install, and then reopen the media center application. This user interface addition makes browsing so much easier and fun. You can also look at different skins for your liking and download those as well. The skin options for XBMC run the gamut from colorful and eye catching to sleek and efficient, so you have your veritable pick of how you want your front end to look. 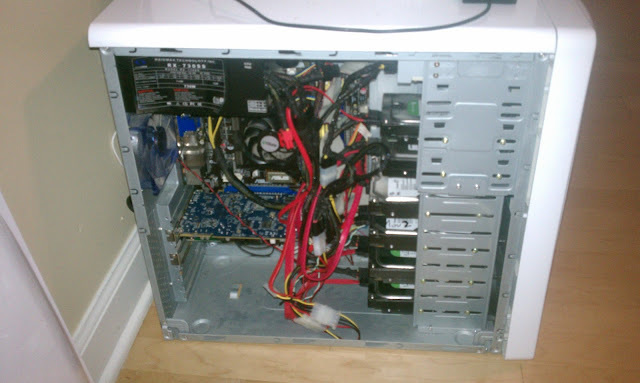 I have included some pictures of my current setup of my HTPC. As I stated earlier I use XBMC, which I will cover in a later post of skins, plugins, etc. and I have a single seat setup, or just one PC. I will be going to a mutli seat setup with my current PC acting as the server and streaming XBMC to (hopefully) a Pivos XIOS, which is currently in beta with XBMC. Single seat setup with my flat screen and HTPC. I do not have the computer in the entertainment center since it is just too big, and cables were getting bent, and I got sick of worrying about/moving it around so I just stuck it outside. 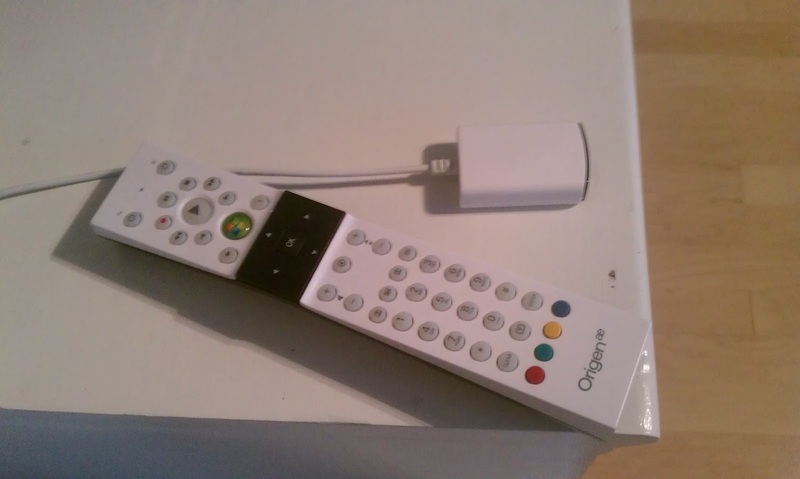 This is a Origen æ remote. I had to do quite a bit of searching for this remote, but I finally found one that does volume punch through. This remote will learn the TV Power, and Volume buttons and automatically use those instead of the computer volume control. I found this crucial, as I can set the computer volume to full, and then just control the TV volume. Too many times did my wife and I have to walk over to the TV to turn the volume up when some one was whispering in a movie (having already turned the PC volume to the max), and then quickly turn down the computer volume with the remote when they blew up...which happens a lot in movies I found out. This solves the problem of that with having the TV volume the only one adjusted. Here is the PC setup. I have a Radeon HD 5670 and 5.5 Terabytes of space. I also have a tuner card which I use for PVR capabilities but this is not hooked up at the moment. This is running on an ASUS board which has worked well for about 4-5 years now. Well, that is all for me right now, I will show further XBMC setup etc. later and also plan on going into multi-seat setup when I start it. Thanks for tuning in!